for medical or identification purposes, imposes fines up to $1,000 and possibly, 1 year in jail. The proposed bill was inspired when Rosenthal was appalled by an online advertisement for the sale of gothic kittens, kittens with tattoos and piercings. It seems ridiculous people actually need a law to tell them that tattooing or piercing their pets is animal abuse. Surely, animals cannot consent to these painful procedures, and even if they could do so, likely would not. So why do people think it is okay to inflict pain on their pets solely for the amusement and pleasure of the owner? The procedure of tattooing or piercing pets is selfish, focusing only on the desire of the owner and not the well-being of the animals. This new law, once signed, will put the well-being of the animal before the desires of the owner. In 2014, three years after the bill’s introduction, Senator Mark Grisanti decided to co-sponsor the bill. Grisanti expressed that piercing or tattooing pets are considered cruel acts that fall within the category of animal abuse under New York’s animal cruelty statute. If this is so, and it is already considered animal cruelty to tattoo or pierce an animal, than the proposed bill would seem redundant. However, since there are still some gray areas concerning the issue of tattooing and piercing pets, this law has become necessary. The proposed bill did not gain momentum until a New York tattoo artist, Mistah Metro, caused an uproar by posting a photo of his tattooed pit bull on his Instagram. 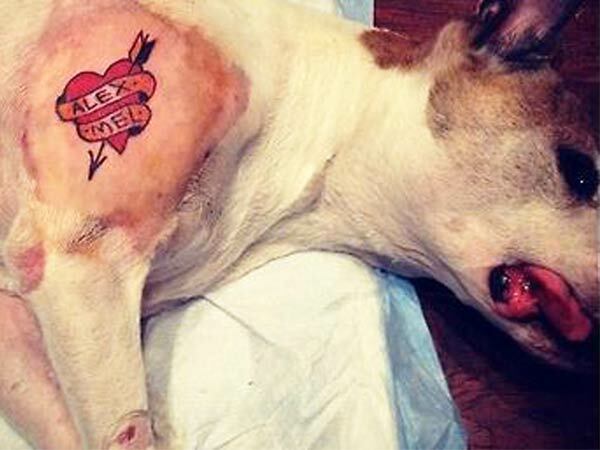 Metro gave his dog the tattoo while he was sedated for surgery. The bill was recently unanimously passed by the New York Senate and Assembly. Currently, the bill is expected to be signed into law by New York Governor Andrew Cuomo. Although the behavior described in the proposed bill already violates New York’s animal cruelty statute, this bill addresses any doubt and makes it expressly clear that this type of behavior is considered animal cruelty, and thus, is not permitted. This new law reflects the changing views on the responsibilities of pet owners and strays away from the traditional approach that pets are just property entitled to no rights.